Lunch menu for Harry's Seafood Bar & Grille. 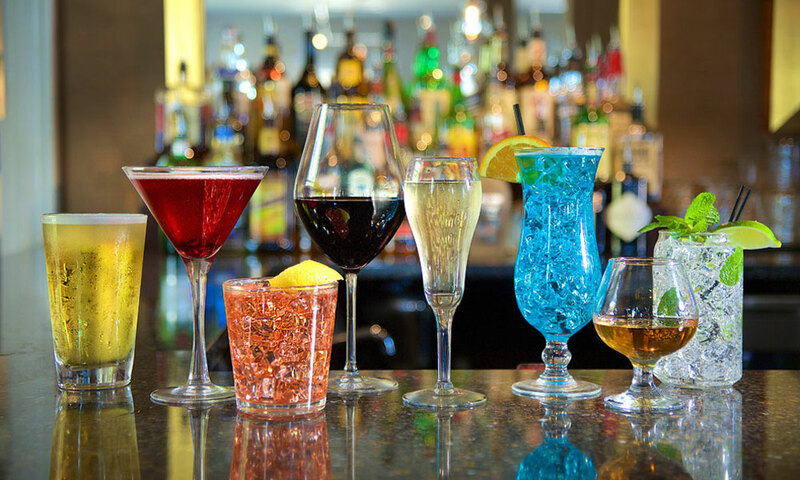 Harry's Seafood Bar and Grille offers its guests great food at excellent prices, with plenty of atmosphere. 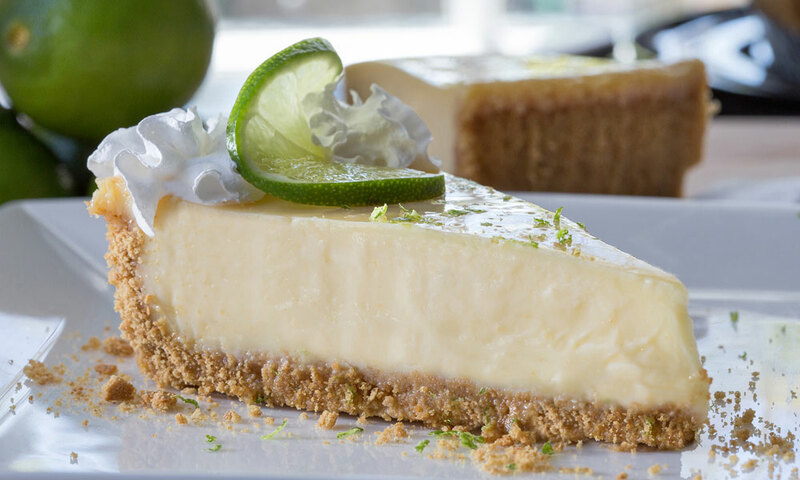 Located on the bayfront in St. Augustine, Florida, Harry's has both inside and outside seating. 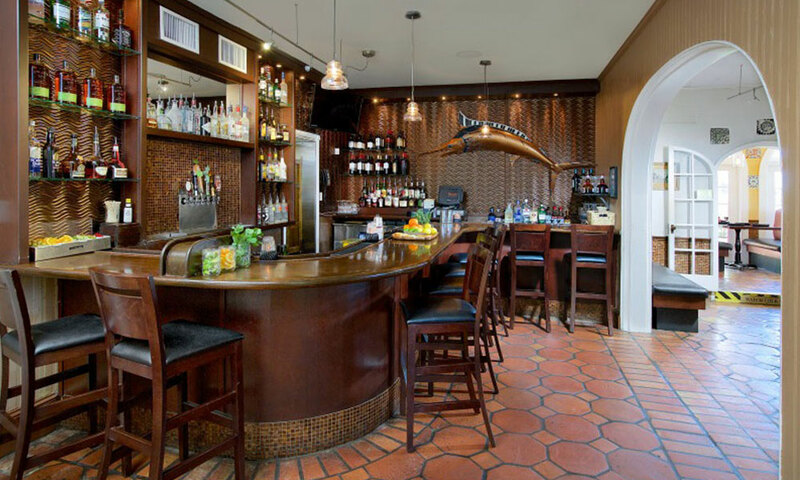 Their patio dining area features daily live music and a festive environment all year long. Harry's menu has come a long way from its humble beginnings in June 1987 as one of the original restaurants in the Jacksonville Landing. Offering traditional Louisiana favorites like jambalaya, etouffee, gumbo, and red beans and rice, Harry's has infused Cajun, Creole, and Southern flavors with a modern-day twist to create some of their most popular dishes, including the Shrimp & Scallop Orleans, Adouille Crusted Grouper, and Chicken Jolie Blonde. 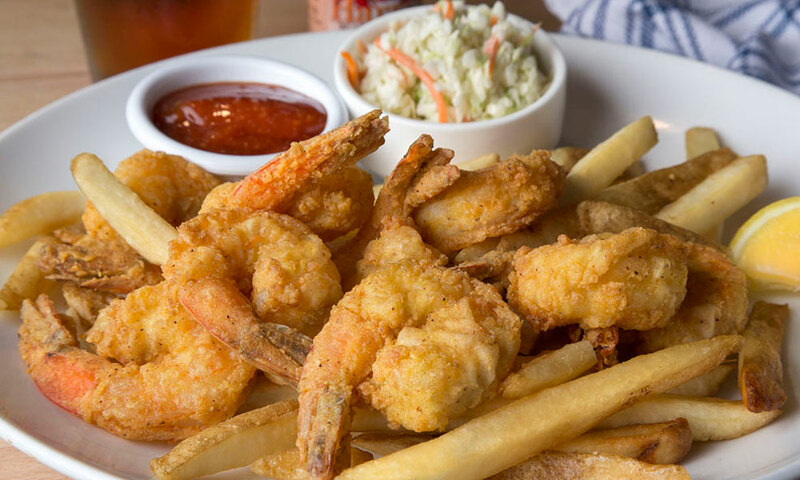 Harry's Seafood Bar and Grille is a great casual dining establishment and a perfect place for a romantic dinner with someone special. 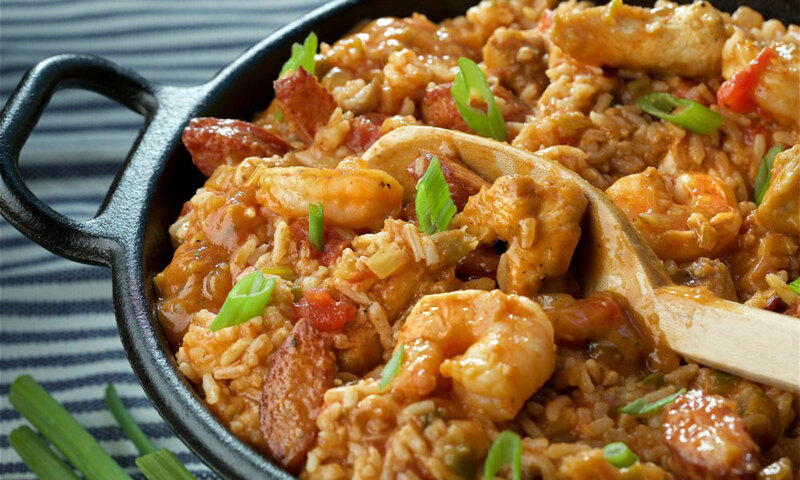 Their menu has a New Orleans flair, with lots of spices, but they're always happy to cook a dish to taste. Harry's is a must-do for lunch or dinner for St. Augustine visitors. Reservations are suggested for large parties. Party platters are available, and Harry's also offers food to go. Harry's offers live music every day of the week. See the list of upcoming performances below. For Harry's full live music schedule, please visit here. 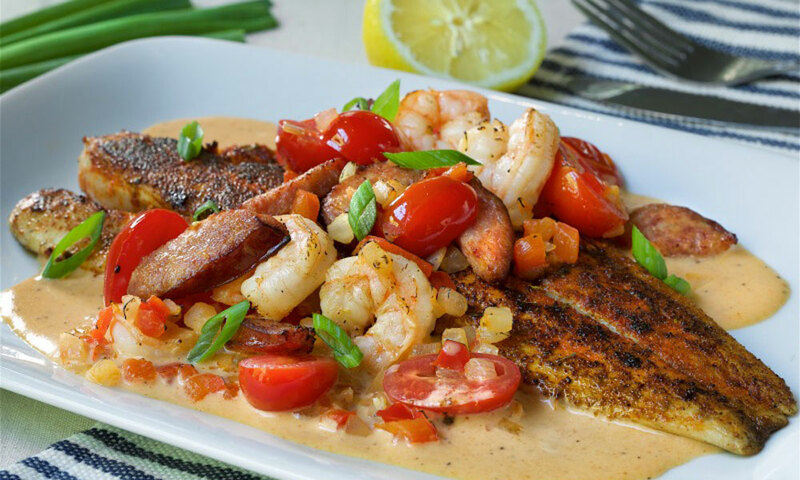 Redfish Alexandria Blackened redfish in a New Orleans style cream sauce with shrimp, smoked sausage, tomatoes, and red pepper. Shrimp & Scallop Orleans Lightly blackened over a crispy grit cake with Tasso ham cream sauce and Harry's collard greens. Crab Crusted Redfish Royale Blackened redfish topped with crab meat served with corn maque choux, smashed potatoes, and finished with Louisiana beurre blanc. French Baked Scallops Sea scallops with savory parmesan. Choice of one side. 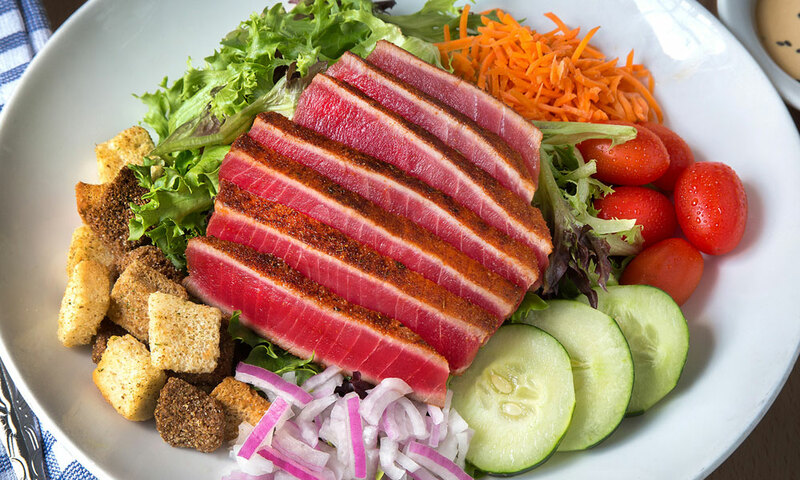 Cajun Seared Ahi Tuna Blackened yellowfin tuna steak seared rare, served over creole fried rice and fresh arugula. Finished with sriracha aioli, toasted sesame seeds, and teriyaki. 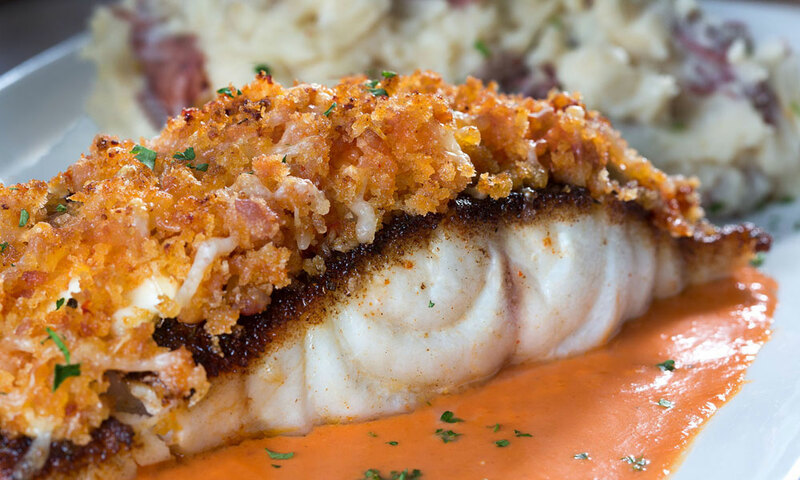 Andouille Crusted Grouper Blackened grouper fillet crusted with panko breadcrumbs, parmesan cheese, and diced Cajun sausage. Served in a red bell pepper sauce with mashed potatoes. Just returned from an early birthday treat, a gift from my lovely brother in law, at Harrys Restaurant in St Augustines Florida. Service was great and our waiter even made me a beer shandy, having given him instructions on what went in it. The food was amazing. We all had the blackened red fish but cooked in different ways. I haven't had anything like that before but had good advice from the waiter and I loved it. I would recommend to everyone to try Harry's. Really reasonably priced too. My husband and I recently visited St Augustine for our anniversary we both wanted seafood and decided to try Harry's Seafood , we called to make a reservation they told us they only do call ahead seating this was on a Saturday night when we got there for our call ahead it was still a hour and ten min wait .The food was good service was good just be prepared to wait if on the weekend but over all a good experience . We would go back but would probably go a little earlier. Thank you Harry's staff for making the start of a awful day turn out wonderful.The food was amazing the atmosphere was so cheerful Deena was our server.My husband and our daughters enjoyed the entire meal.We will let everyone know Harry's is the place to go. The staff at Harry's was Top Notch. From greeting to seating and beyond the staff was on top of everything. We were taken outside and seated in a marvelous court with live music. The food was excellent as well. I had the Oleans Scallops and Shrimp on Fried Corn Grits. I would definitely get this dish again. My companions had the Jumbalya and the other had the Lobster tails. Both of them were very happy with their dishes. So happy in fact, they took pictures to send to friends. I would recommend Harry's to any traveler or local to the St. Augustine area. Job well Done Harry's. Had Valentines Day diner at Harry's. Ate outside and the atmosphere was great. They had a really good singer/guitarist. The food was wonderful and the portions just fine. Mud Pie for dessert was excellent! Service was attentive and very, very good. I was at this restaurant twice in 2009 and now I will soon be coming back to St Augustine and can't wait to go again. After hearing about Harry's on a ghost tour of the city, I was kind of forced to go by one of my friends. However, upon arriving I was very impressed! Our waiter was very knowledgeable about his wines and did an excellent job as to making sure we had everything we needed. Prices are reasonable, and even though someone might complain about the portion size, the food tasted wonderful, and it was the perfect sized portion, I personally even had some leftovers. We enjoyed our experience so much we came back the next day, and our experience was just as wonderful! Thank you to the staff at Harry's for making our trip that much more awesome! Outside seating is preferred when the weather allows, but inside is ok, too (a little noisy). Waiters are efficient and friendly, food just can't be beat. I read one complaint about portion size, but I always get 2 meals out of one entree, so I have good leftovers at work the next day. Friendly servers, quickly seated (tues 5:45), too windy outside, inside was a little tight with minimal atmosphere, she crab soup was very good, took awhile to get main dishes but was well worth the wait. Pecan crusted catfish was great, my daughter loved the chicken tenders, wife loved the evangeline pasta, prices were in line with the quality of the meal. I would love to come back and try some of the other dishes. The outside courtyard was a wonderful place to dine during a recent mild spring afternoon.